Norm Abdallah is a Founder and Executive at AC4S. Mr. Abdallah has a proven track record in contingency operations and communications. He has over 20 years of experience in Joint, Special Operations and Air Force Combat Communications as well as Air Traffic Control support. He is a Cyber Operations Officer in the US Air Force Reserves. 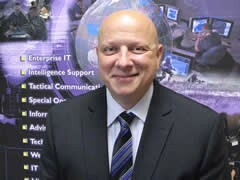 In addition to his military experience, he spent several years with IBM Global Services and AT&T Labs designing global enterprise networks and project managing implementation of those networks for Fortune 500 companies around the world. He served as the Manager of Global Service Management, ensuring the quality of a complex remote access network servicing multi-national corporations with operations in over 200 cities in more than 60 countries. Mr. Abdallah earned a Bachelor of Science degree from the University of Florida and holds a Master’s certificate in Project Management from George Washington University. 4017 W. Dr. Martin Luther King Jr. Blvd.